I’m still trying to come to terms with Gray Thursday destroying Thanksgiving in America. I didn’t really understand what had happened until I tried buying a new iPad Air 2 early on Black Friday. Target, which I discovered never closed after it opened up on Thanksgiving, had been sold out of the iPad I wanted for twelve hours. I wasn’t even close! I felt lucky with the runner-up deal that was still available at Best Buy. I came home a nearly defeated shopping warrior. But then again, I had a new iPad in hand…. (believe it or not) but it was really time for a refresh. Mostly, I needed to buy the new iPad because even though the old one is still functioning, nothing much living in it can survive anymore. Many of the apps we use have upgraded themselves, requiring newer iOS software, which the iPad wasn’t built to digest. Things really got bad when our favorite Disney Junior app upgraded itself, and Disney spontaneously killed off the old one residing in our iPad. My own “Junior” had a really hard time understanding why the app didn’t work anymore. So I took my licking as a tardy Black Friday shopper, but I’ve successfully upgraded the Lester household back into current iPad technology. I picked up AppleCare separately, even though Best Buy pushed me hard to go with the Geek Squad protection plan. 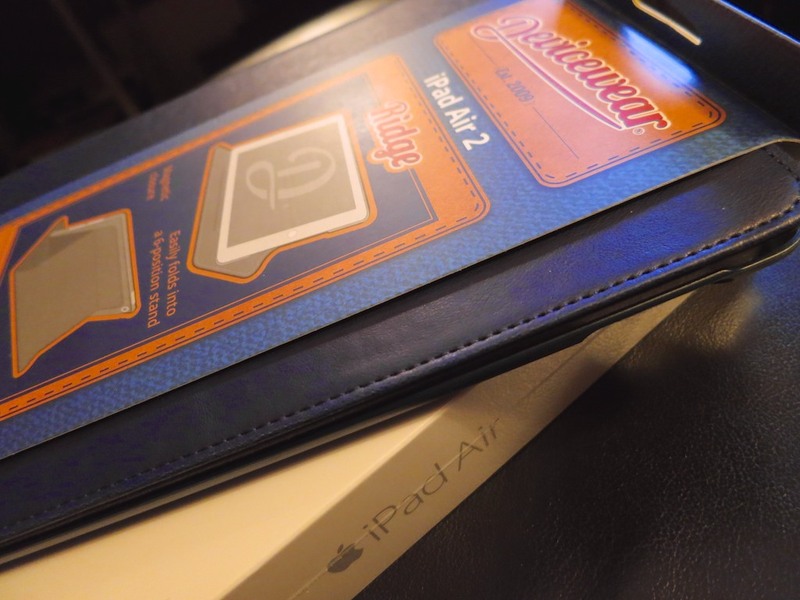 There’s an entire cottage industry of iPad cases out there to choose between. Apple’s Smart Case sells for a hefty $79. Not that I wouldn’t drop another eighty bucks to protect my overall investment. However, when I checked out a Smart Case at an Apple Store, I wasn’t entirely impressed. It was fine… but since I wasn’t convinced it was that much better than the competition, I figured I should look around a bit more. Believe me, the resulting exercise was yet another rabbit hole into too much choice. The options range from $10 to over $100 for covers that come with their own keyboards. I found lots of good reviews for the iPad cases that Devicewear makes. I checked out the ‘Ridge’ that goes for $45. It’s got a nice ‘vegan’ leather exterior and supports the automatic sleep/wake iPad function when you open and close the cover. As I write this with the sun rising on a cold Sunday morning, my boy is still valiantly sticking with the old iPad as it struggles to stream Sesame Street off of its website. As for me, I’m happily streaming a little holiday spirit knowing that soon, he will be at home with new ‘protected’ tech.